So Eddie and the Ecclectics began in 1980 and ran 2 nights a week for the next 10 years? That's a long run. Not quite like The Drunkard, but a long time. Great pictures by the way. You have good sources. "The Sound of Music" got an exclusive engagement there that went on for a couple of years. 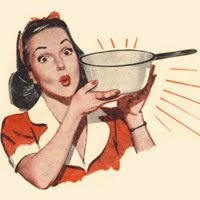 The newspaper ads said something like "Now in its 63rd week!" My sister is going to love you for that. She's been saying over and over that TSOM played for an incredibly long time there but I couldn't find anything (or anyone) to verify it. Thanks! Eddie ran for 2 nights in the summers, not all year long. Not only did The Sound of Music have a long run, but it took over after a long run by Mary Poppins and then another long run by My Fair Lady. The Brook had about a 4 year run where they ran three films. I was there for all three. I remember going to film festivals at the Brook in about '81 or '82. They showed classic movies on Tuesday or Wednesday nights. I saw The Creature from the Black Lagoon there (with 3D glasses! ), and also The Day the Earth Stood Still, Forbidden Planet, lots of Katharine Hepburn movies, and... Barbarella. :-) I couldn't drive yet, but I used to go with my sister and friends. 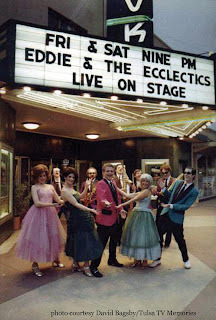 I think my high-school sax teacher, Les Ewing, is in that top pic of Eddie and the Ecclectics. That sure looks like him on tenor, in the middle of the back row, and I seem to remember that he was in the show. And who among you old-timers remembers the Saturday afternoon serials (I tried to explain the concept of "serials" to my nieces & nephew after they became confused about what Corn Flakes and Rice Crispies had to do with the movies)? And who recalls the Duncan Yo-yo contests that happened maybe once or twice a year with a brand new Schwinn bicycle as the grand prize plus lesser prizes of movie tickets and spiffy new Duncan yo-yos? Also the funny little Phillipino gentleman who would carve your name or fancy initials in your yo-yo in about 10 seconds in the lobby? Who remembers Bill Donaldson, manager of the Brook and the personification of "curmudgeon"? (Best not to let him hear you call him "Curly" or suffer the consequences). He did not suffer the snot-nosed, sticky-fingered denizens of Saturday afternoon, gladly. And neither did Lewis Meyer and his wife Natasha. For that matter, even their cat, "Chat", kept a fearsome sneer on his "puss." Does anybody have experience with D.H. Griffin for asbestos removal ? I played "Johnny Valentine" in Eddie for the last four years of the shows run. I was only around to perform one show at the Brook. Performing with some of Tulsa's favorites in "1940's Radio Hour" at the Brook is one of my performing highlights. Unfortunately, us Eddie horn section guys never got in the photos. Mike Moore hired me early on while Eddie was at the Brook and Randy Weimer ran the band until his move to Cincinnati. We made the transition to the Old Lady and Ken Nelson directed the music. He and I arranged most of the music. I played behind the black (Wilkerson) Eddie and the Gene Crose Eddie. Bob Bethel had to step aside because of a serious back ailment and a failed surgery. His comeback had him on a chair for many songs. I was Barry Cuda, saxophone. Mark Robinson to my friends. 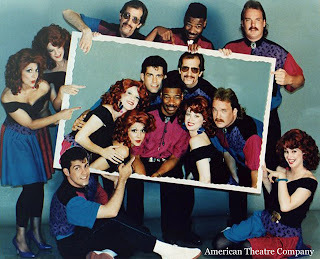 My introduction to ATC was during the Joyce Martel days via the most excellent Wardrobe Mistress Jo McClelland. Wonderful lady. 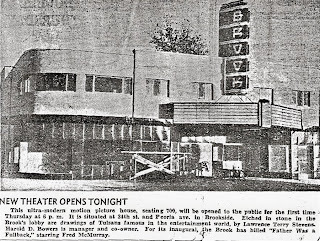 When I was younger the only theater close enough to bike or walk to was the Brook. 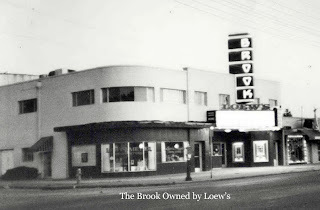 The entire time I lived in that neighborhood the only film on the Brook's screen was The Sound of Music. It's a wonder I didn't burn the place down after the first few months. I grew up just a block east - my mother still lives there. I remember seeing Rocky at the Brook, and George C. Scott in The Day of the Dolphin, when my best friend and I were finally old enough to see a PG movie and leave our younger siblings behind. 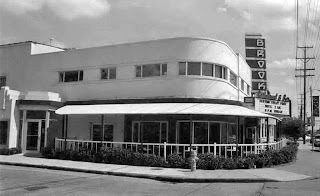 On the other side of Peoria and north just a block was an ice cream parlor in the 60's. I can only just barely remember it. My mom used to have her hair done at the Brookside Beauty salon, which was also frequented by the young wife of a then state senator, James M. Inhofe. I remember the summer movie specials from Disney, couple of shorts and a flick..."The Longest Day" played there forever...the old guy who ran the ice cream spot across and up the street taught me how to prep my paper route money. A wonderful neighborhood to grow up in! 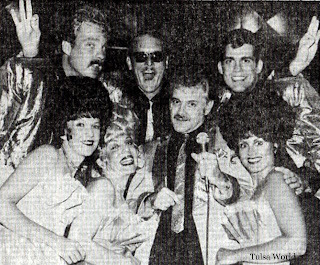 My mom Pam Curtis was one of the costumers employed by ATC and I attended Eddie for many years at both the Brooke and Brady, I truly cherish those memories and miss the golden days of theater in Tulsa. In 1949 & a little while beyond, admission for Saturday matinees at the Brook was ELEVEN CENTS. I don't recall the price of popcorn but it was probably a nickel. I do remember that a quarter would buy an afternoon of air conditioned entertainment...a fairly rare opportunity back then. Several of us kids would walk to the Brook from our neighborhood around 37th & Lewis and of course we terrorized most of Brookside then and for several more years, eventually discovering Pennington's. Another story.